You know when you see something out of the corner of your eye while you’re driving and you just weren’t sure what you’re looking at? Well that’s what happened to me when I was driving home today. I saw something that at first I thought was one of our dogs laying in the trees and wasn’t moving too fast. Way scary right? So I backed up on the road and with squinting eyes I tried to see just what in the world I was looking at. And guess what it was? Well I had no idea because I still couldn’t see what it was so I just figured I’d park the car and walk to the grove and see. So I was worried it could be one of the dogs until I was in from of our farm yard. Yeah, I found one of the dogs. 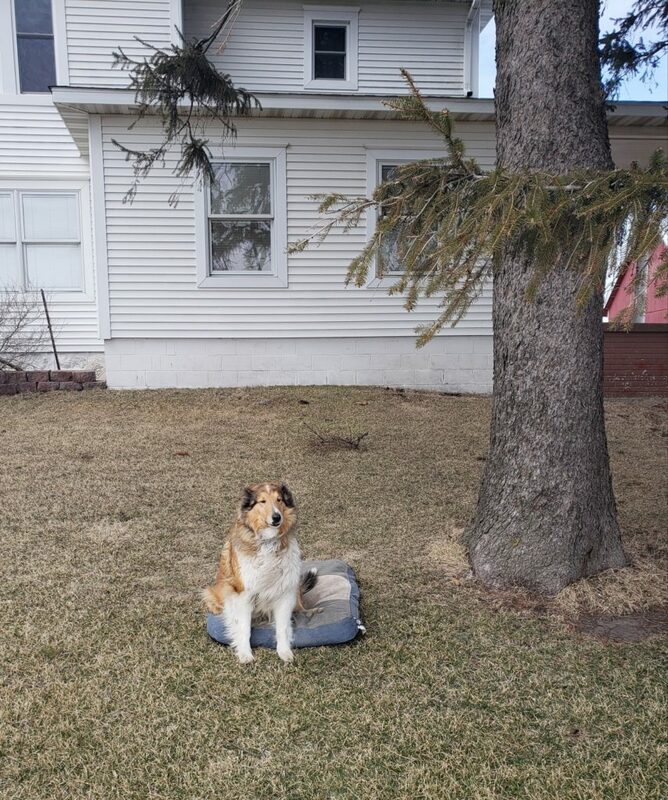 And by the looks of it, she took her dog bed off of the front porch and moved it to the yard so they can keep track of traffic driving by. I was feeling much better when the other dog came running as I drove into the yard, so now I wasn’t so scared to see what was the mystery item in the trees. And guess what that was? 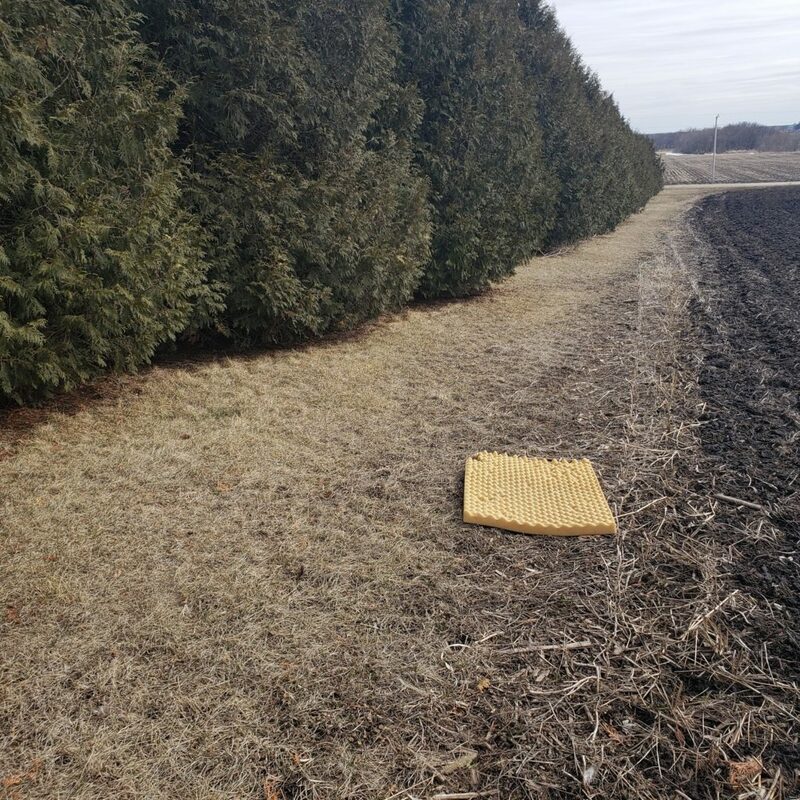 Well they must have wanted an Eastern lookout from the farm so they found some foam from one of their older torn up dog beds and moved it to the trees. Now I’m not even sure where they found this foam, maybe they had it stashed someplace. But seriously, I think this is pretty funny! I guess maybe they do watch over the farm while we’re gone. Either they are good watch dogs or they are good at finding some warm napping spots!